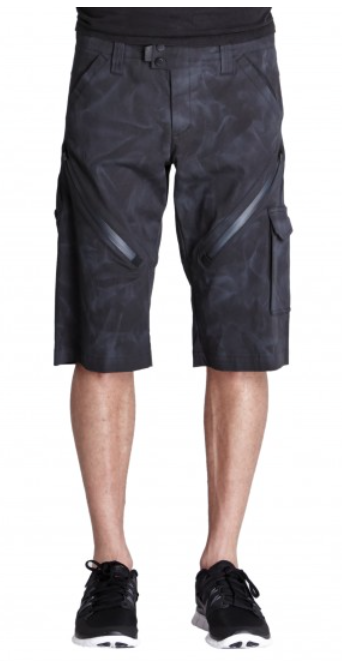 The Innak Biking Shorts are designed to give you superior comfort and performance on dawn to dusk rides and treks. Made from Schoeller stretch canvas finished with R3 technology, the outside of the material up to the middle is water repellent; while from the inside to the middle it is water absorbent. This combination enables the Feelgood Technology 3XDRY® to prevent noticeable perspiration marks, to generate a comfortable cooling-effect, and to improve dirt and water repellency. Additional features include zippable leg vents, easy to access stash pockets, articulated crotch construction for ease of movement, and ultrasuede waistband facing to prevent chafing caused by repeated movement.